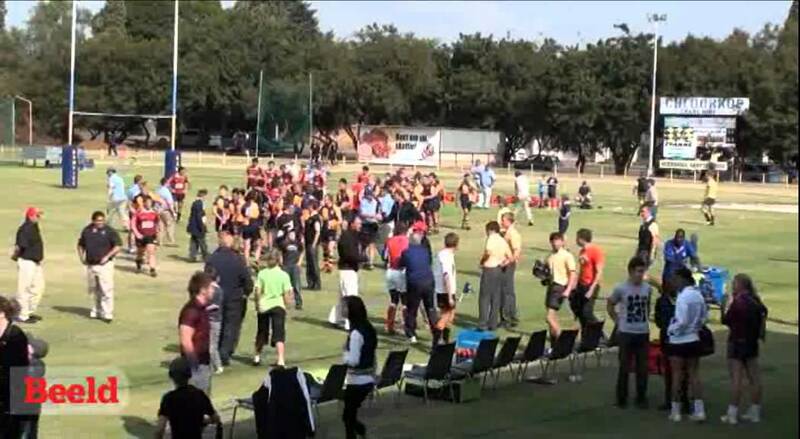 Johannesburg - An assistant rugby coach at Boksburg's EG Jansen High School, caught on video shoulder charging a referee, has been banned from rugby for two years, Beeld reported on Friday. According to the terms of his suspension, Schalk Snyman may not be directly or indirectly involved with rugby for five years, suspended for three years. Snyman was expelled after he shoulder charged Mlungiseleli Mdashe, the referee in a match on May 12. Advocate Jacques Pienaar, chairperson of the Falcons Rugby Union's (FRU) legal committee, told the newspaper Snyman would be permitted involvement in rugby "at other levels". Jurie Coetzee, executive head of FRU, said Snyman still had an important role to play as he would share the consequences of his mistake with other coaches and pupils and help protect the sport. He would be used as an agent for positive change in various rugby committees, Coetzee said. Into his back and everything. Bit harsh I think. Yes, sneaky hit and all that, but we've all done things we regret in the spur of the moment. Yeah, 2 years is slightly harsh if anything. Not the right thing to do but he didn't deck him. It was petulant and nothing more. Sneaky and cowardly ! What a man eh? we all can get carried away, right ? i mean surely the ref said something to aggravate the situation ? some of his decisions must have been dodgy ? it was all a bit of banter , wasn't it ? no one got hurt after all, did they ? \"There is no need for temples, no need for complicated philosophies. My brain and my heart are my temples; my philosophy is kindness\". Deserved ban. He can't go around shoulder charging referees just because he thinks they made a few errors. Having said that if it was Romain Poite he shoulder charged I'd be calling for a far shorter ban! So you don't think that Chris Henry should get two years then . I'd have given him the rest as well. Don't see it as harsh at all - lenient if anything. He should get a medal! Two years seems about right. As Nigel Owens once said "This is not Soccer"
Two years bang on. Taking it out on the ref is always easy. What a ****! All the players seemed to take the defeat in good grace, we don't want guys like this influencing the next generation.